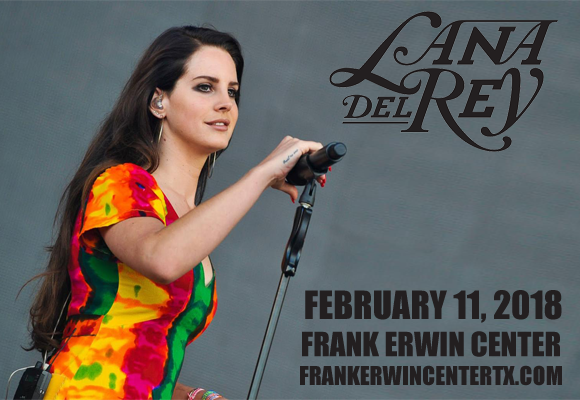 Melancholic Americana queen Lana Del Rey comes to Frank Erwin Center on Sunday 11th February 2018 as part of her LA To The Moon Tour! Performing songs from her number one album, Lust For Life, as well as fan favorites like "Video Games", Lana will be joined by special guest Kali Uchis for a night of incredible music! American singer, songwriter, and model Lana Del Rey first began her music career upon moving to New York in 2005, and first came to public attention when the music video for her single "Video Games" became a viral Internet sensation in 2011. Del Rey's debut major label album, Born To Die, was released in 2012, peaking at number two on the United States charts. The record was the fifth best-selling album of that year, selling 3.4 million copies. To date, Del Rey has released four major-label albums and three short films, with her most recent, Lust For Life (2017), reaching number one in the United States – the second of her albums to do so.